Three police officers attached to the Edo Police Command were on Sunday evening killed by gunmen in Benin. The News Agency of Nigeria reports that the police officers were posted to provide security for fun seekers at the Ogba Zoo and Nature Park in Oredo Local Government Area of the state. NAN reports that the gunmen, suspected to be kidnappers, abducted the chief executive of the leisure park, Andy Ehanire, in the process. The gunmen also took the rifles of the police officers after killing them. It was learnt that the killing disrupted activities at the leisure park as many fun seekers scampered for safety. 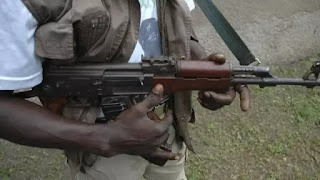 The spokesperson of the Edo Police Command, Moses Nkombe, who confirmed the killings and abduction on the phone, said the situation had been brought under control. Mr. Nkombe said the attackers would soon be brought to book as security had been beefed up in the area. He assured members of the public that the park is safe for fun seekers. The remains of the police officers had since been deposited at the Benin Central Hospital morgue.